One of the intriguing things about black metal to an outsider is the proliferation of solo studio projects like Panopticon. Maybe there's something about the individualism of black metal ideology which makes going your own way as appealing as the more traditional path of forming a band. Or that it's a simple matter of efficiency in an economically marginal music. Superstructure? Base? Or perhaps both. Behind Panopticon's one-man-band is Austin Lunn, who drums like his life depended on it, but is also a pretty fine guitarist, shrieker and banjo-player. Ah yes, the banjos. I should probably explain. 2012's Kentucky is one of those albums which defiantly spill out of the genre to which they have been assigned. Over 50 minutes, Lunn mixes black metal with bluegrass, traditional mining protest songs, ambient noise and spoken-word samples to tell a musical history of the rural backwaters of his then home-state. Crucially - it all works side by side. There's neither a hint of tongue-in-cheek condescension in Lunn's country, nor any dilution in the ferocity of the metal through its juxtaposition with other musics. Granted, letting a tin whistle carry the lead riff in Bodies Under The Falls (about the slaughter of Kentucky's Native Americans by the original colonists) might take a little getting used to, but once you're there you wouldn't change it for the world. He supplements this with sound clips from the archives to illustrate the hardship of rural Kentucky mining settlements - as chants of 'Strike! Strike! Strike!' echo through your speakers, an old miner tells his interviewer that everyone - from the company down through the politicians, the priests and the union officials - is against ordinary workers seeking a fair deal. Their only recourse - to organise and stand together. Kentucky is not only a great rock album, thanks to Lunn's assembly of his own and others' material it's also deeply moving. It's profoundly evocative of a particular place and time, of people's collective endeavour in the land that bore them yet all too often buried them before their time. In the recent past, I've written about black metal's tendency towards the transcendental. 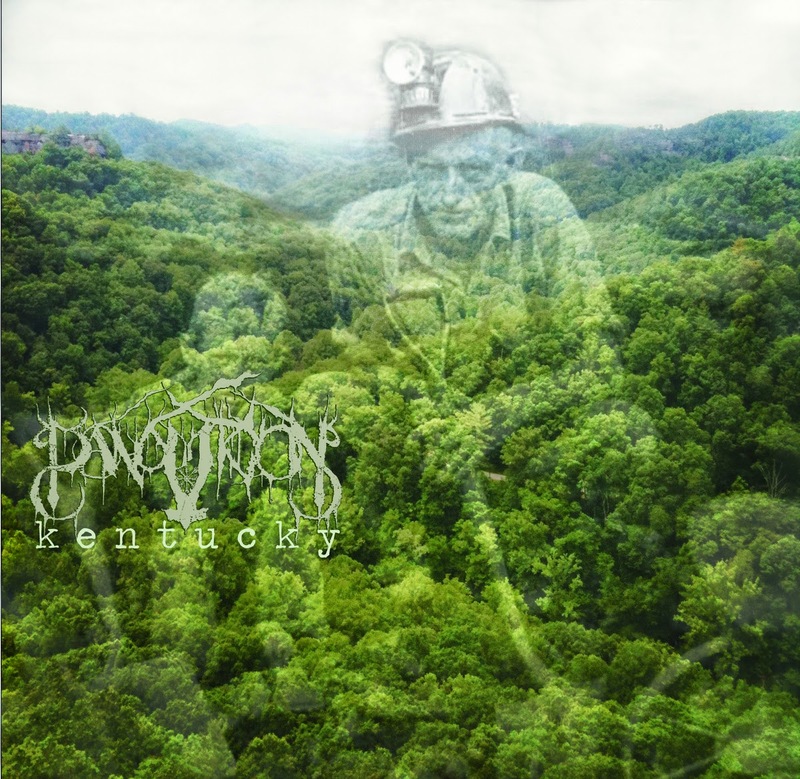 Yet Kentucky is one of the least transcendental blackened records I've come across - it seems to me angry, compassionate, but above all committed to life as it is and is meant to be. Before we lose ourselves, let us first have justice - if you like. Proof that a genre founded on exception itself contains the necessity for exception.